AMC’s The Walking Dead has a long history of memorable villains – some good, and some not so good. For every Shane Walsh the show threw at viewers, the show has also provided fans them with characters like The Governor. Jeffrey Dean Morgan’s Negan has finally arrived, and despite the cliffhanger Season 6 finale, he’s turning out to be exactly what fans have hoped for. Now it seems that Negan’s reign of terror will continue well beyond his badass introduction and through the events of Season 7. I can say from the little bit that I do know about the upcoming season, there will be lots and lots of tears shed. I think there will be a good deal of shock; a lot of heartbreak and what I can say is that Negan is far from done. Season 6 often felt like it was only building towards the final moment of the finale. 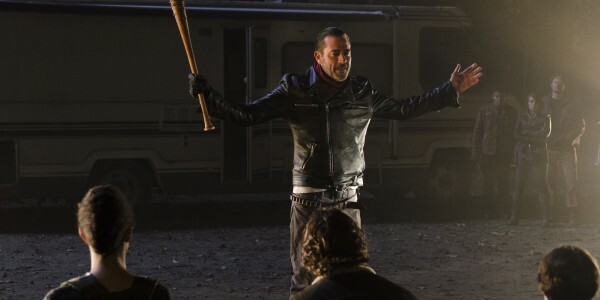 Hints were strewn all over the place about what Negan might do to Rick’s group once he got a hold of them. However, based on what Seth Gillian is saying, it seems that we don’t really have to worry about the former teacher/ping pong coach lacking any sort of punch once we find out which member of the group he bashes with Lucille. It seems that Seth Gilliam likely knows what he’s talking about; as one of the few members of Rick’s inner circle to stay behind during the season finale, we know for certain that Father Gabriel will survive to play a major role in the coming war. As a die-hard fan of the series, I genuinely hope that Seth Gilliam isn’t stretching the truth about Negan. The Walking Dead has somewhat pulled back on its original promise that anyone could die at any time. If Negan genuinely is about to cause a great deal of "heartache" for the Alexandria survivors, his attack needs to be poignant and definitive. While we love characters like Daryl Dixon and Glenn Rhee, the fact of the matter is that the show should really consider putting one of the leads at the end of his bat. Spoilers from the comics in this paragraph.Fans of the comic books know there’s still an immense amount of material left for the series to use when it comes to this particular bad guy. Sure, his introduction is his most iconic moment, but he still has a long history of tormenting the Alexandrians and warring with Rick Grimes. We’re particularly excited to see how his relationship with Carl Grimes grows as the show progresses, because that’s one of the more intriguing story arcs that ever occurred in Robert Kirkman’s source material. We still have almost five months until we learn just how terrible of an antagonist Negan will be. Luckily, we know a little bit about what is coming up. Until The Walking Dead returns for Season 7, be sure to check out its sister series Fear The Walking Dead every Sunday night on AMC.